THE PUBLISHER:This company is not impressive and I was very disappointed. Author House is an overpriced publishing company, and if anyone wants to know more about my experience, drop me an e-mail. SUMMARY: Metamorphosis delves into the rather unusual life of Miranda MacLeod, who has had a touch of the supernatural surrounding her since childhood. Miranda was leading a relatively normal life in an upper middle-class neighborhood as a mother, wife, and nurse. When her marriage begins to disintegrate, she becomes romantically involved with a mysterious American who recently moved from California. This man specialized in Information Technology at a high-end software company. She is drawn to this man like no one else before. Her world is then turned upside down, and she is thrown into total turmoil. She begins to experience terrifying physical transformations throughout her body. These experiences tear her apart physically, psychologically, and emotionally, reaching to the very core of her being. Everything unravels-her marriage, career, love, and self-as she battles to keep her own sanity and hold her family together. She moves through surreal experiences that are right out of the twilight zone. Miranda also begins to explore her own reawakened sexuality during all this chaos, by looking for love in all the wrong places. Her search for a cure also takes her alone halfway around the world. The more Miranda searches for the truth, the further down the rabbit hole she goes. THE BACK STORY: I decided to write this story to bring awareness to the very real and absolutely horrifying as well as extremely debilitating illness of “Morgellons”. At present the CDC is labeling this illness as a psychiatric condition called “Delusional Parasitosis,” where people believe that they are infested with bugs, worms and parasites. These patients are also experiencing sores which do not heal up very easily and when they do,they typically leave permanent scars.This is very traumatizing, particularly when there is facial involvement. Other symptoms that occur include multicolored fibers, usually red, white and blue in color; black, metallic-looking specks resembling dirt, and small, multicolored hexagonal shaped structures with a glittery coating. .
WHY THIS TITLE? : The book was titled” Metamorphosis”, because the character of Miranda goes through horrific physical transformations.This is due to her developing” Morgellons” and having to deal with all of the physical manifestations of this illness.The other reason is that, as she goes through this nightmare, she loses her old self completely on all levels – hence the title. WHY WOULD SOMEONE WANT TO READ IT? Morgellons disease is a poorly understood condition characterized by spontaneously occurring, slowly healing skin lesions containing multicolored filaments and accompanied by symptoms such as fatigue, joint and muscle pain and neurological problems, according to a recent report published in the prestigious ‘International Journal of General Medicine.’The review paper titled ” Morgellons Disease: A Filamentous Borrelial Dermatitis” was written by Calgary microbiologist Marianne Middelveen and San Francisco internist, Dr.Raphael Stricker of the International Lyme and Associated Disease Society (ILADS). “The writing in this book is spectacular! It’s first person, which can be hard. To pull something like that off, you need an original voice, and with the character of Miranda, the author does that. On top of this, she sounds one hundred percent authentic, like someone we’ve met or seen a thousand times before—completely relateable.” – Tim Learn. (NOTE: THIS IS ONLY AN ABBREVIATION OF A MUCH LONGER REVIEW THAT CAN BE FOUND ON THE BOOK’S AMAZON PAGE). AUTHOR PROFILE: Isabella MacLeod currently resides outside of Halifax, Nova Scotia, with her two children and her spouse. She has been a registered nurse for the last twenty-three years. She used her extensive medical knowledge to navigate her character’s medical and psychological crises. 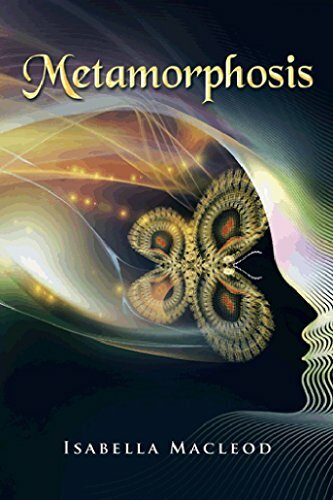 The writing of Metamorphosis was a very personal journey that transformed her spiritually. Losing it all–marriage, career, and health–made her take a step back and cherish all the important things in life, like the love, family, and friendship that we all take for granted. She believes that sometimes, by losing yourself, you are able to find the real you underneath all the superficiality and materialism of life. By having it all fall apart and being left to pick up the pieces, you are able to rebuild a better you–a better you on all levels! WHERE ELSE TO BUY IT: Amazon, Barnes & noble, Author House Publishing ,Focus on Women Magazine .Sold internationally in all languages.